A Colorado group called Words Beyond Bars is building bridges between prisoners and the public through poetry. Words Beyond Bars (WBB) hosts a poetry-reading event every other month at a public library in partnership with another organization, Unchained Voices. Community members listen to the thoughts and words of the prisoners and write responses to the compositions. The feedback is then given to the incarcerated poets. 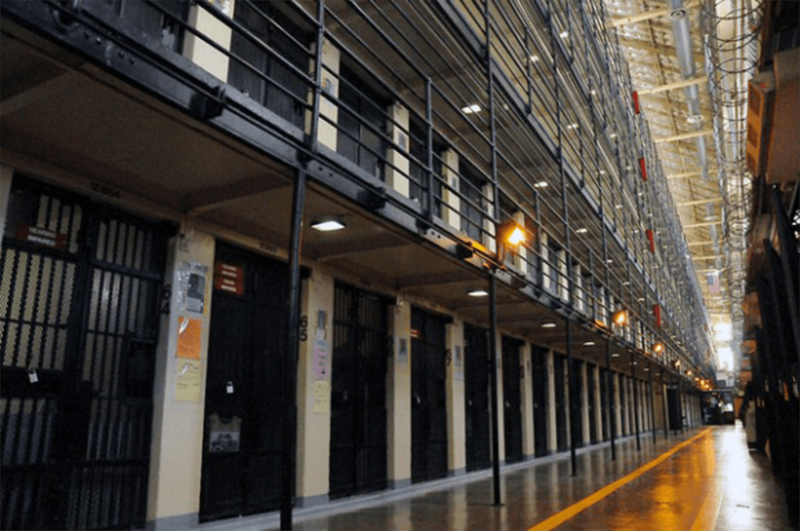 “We build connections that our current injustice system endeavors to disrupt,” Elie Zwiebel, a member of the Words Beyond Bars board of directors, said in an email to the San Quentin News. “(It’s) just like the innovative programs at San Quentin that do not sacrifice connection for the sake of incarceration. “WBB reaffirms the humanity and dignity of everyone grappling with some of our harshest realities through education and art,” Zwiebel added. WBB is a rehabilitative book club within some of Colorado’s prisons. The group’s volunteers select books that promote literacy and reflection for the incarcerated. Zwiebel praised San Quentin Prison as a pioneer in implementing programs that help establish connections with the public. Programs such as the San Quentin News and the “Ear Hustle “podcast promote public safety through education, he said. The stripping of a person’s name and renaming him as a number or calling him simply an “offender” is the first disconnection, according to Zwiebel. The use of indeterminate solitary confinement and the punishment of children, who cannot understand the consequences of their actions, also serve as disconnections, he said. “We all share in the shame and responsibility of fostering, supporting, or condoning a system that severs connection,” Zwiebel said. “We are seeing the error in our ways on a scale like never before. “We are more willing than ever to recognize the uniform disconnections that have brought about further injustice instead of laying the foundations to rectify,” Zwiebel added. Connecting people both inside and out through dialogue and exchanging ideas, be it with poetry, literature or a podcast, will forge the bonds that true justice needs to thrive, Zwiebel noted. This kind of reform may alter the public’s views on mental health, human development and community-based justice, he continued. “It can help shift how a stay-at-home mom living in the suburbs of Denver views a father inside who is struggling with the responsibility of his actions and the distance from his children who are becoming young men and women without him,” Zwiebel said. That is what Word Beyond Bars is aiming to build through its programs. But, as songwriter Leonard Cohen reflected: “There’s a crack in everything — that’s how the light gets in,” Zwiebel concluded.